A seamless infrastructure network including streets, sidewalks, crossings, and shared-use pathways. Transportation planning decisions which incorporate active transportation at the state, regional, and local levels. A transportation financing system in which bicycle and pedestrian transportation receive a fair share of funding so Idaho communities can build and maintain a great cycling/walking system. A comprehensive program at the state level for active transportation which includes equality, engineering, enforcement, education, encouragement and evaluation. 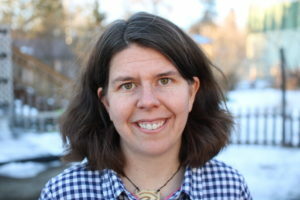 Nora is a founding board member of the Idaho Walk Bike Alliance. She lives in Moscow with her husband and two children. 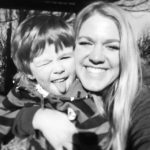 Nora was motivated to become involved in biking and walking advocacy at the statewide level by a desire to better connect local advocacy work and decision-makers in Boise. She continues to be excited about the possibility of more sidewalk, pathway and bike lane connectivity. Providing safe walking and biking options is a great economic equalizer and a fun way to get around town! 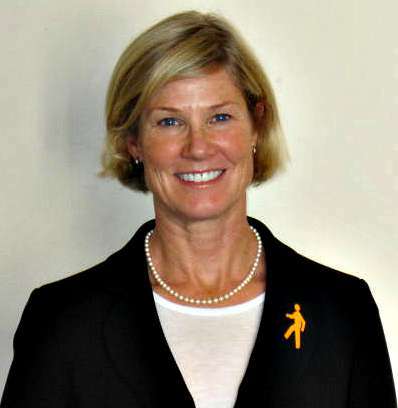 In her free time, Nora enjoys being outdoors – hiking, camping, biking and cross-country skiing. She is a dedicated gardener and raises a flock of chickens in the backyard. Nora also volunteers with First Book and her beloved community radio station, Radio Free Moscow. Don started walking on his first birthday. He has walked every day since then. He does not view walking and bicycling as alternative transportation, rather it is original transportation. It is what we are designed or created to do as human beings. Driving is the true alternative transportation. Don is a private consultant who specializes in planning and designing for original transportation. He began his career at Chicago Transit Authority and worked at Ada County Highway District from 2002 to 2008 before moving back to his native North Carolina to work in consulting for 8 years. He returned to Boise in 2016 and regularly travels by foot, by bike or by bus. He has walked or biked to school with his daughter since she was 3 years old. During his career, Don has worked with 13 state Departments of Transportation, federal government agencies, more than 15 metropolitan planning organizations, and numerous municipal governments. He has led more than 50 pedestrian, bicycle and greenways planning and design projects for places large and small. His passion for walking stems from working with people who are disabled and analyzing a variety of data and crash reports related to how vulnerable people are when walking on our streets. Prior to returning to Idaho, Don served on the Boards of Directors for BikeWalk NC, the Asheville (NC) Design Center, and Rainbow Community School. Don has also served on the Transportation Research Board’s Standing Committee on Transportation Demand Management and the City of Asheville’s Multimodal Transportation Commission. Niki lives in Victor with her son and is a native of Woodstock, Virginia. Her love of bicycles started long ago and her ‘go big or go home’ mentality started young too – with a femur break at age 8 that she earned racing her bike down the barn hill on the family farm. Niki works for Bannock Transportation Planning Organization and is the Portneuf Valley Bike to Work Coordinator. She has a MPA from ISU and completed her undergraduate work there also. Niki is a bike enthusiast, a proponent of active transportation, leave no trace ethics, and outdoor activities of all kinds. 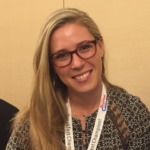 She enjoys working with local decision makers and comes to IWBA with the intent of affecting statewide decision makers through a broader spectrum of bike/ped advocacy. In her free time, Niki enjoys cooking for, playing with and snuggling her little boy. She is an extreme snowboarder and mountain biker and can usually be found on a resort lift in any season, or trying to not be found on a hidden gem of a trail somewhere in Idaho. Nurtured by the descendants of Romulus and Remus, Patrick is a native of Carmel, California and has lived in Idaho since 1954. He joined the IWBA board in June 2014. He is a recovering attorney, having recently retired from the Boise City Attorney’s Office, where he focused on real estate and other transactional work. He graduated from the Monterey Institute of Foreign (International) Studies (B.A. Politics and Diplomacy, Italian), the University of Idaho College of Law (J.D.) and Saint Louis University College of Law (LL.M. Health Law). He has previously served as Deputy Attorney General in the Office of the Tennessee Attorney General (Antitrust Division), the elected Boise County Prosecuting Attorney and legal counsel to the late Governor John V. Evans. He practiced law in Boise for several years before moving to Tennessee in 1992. He returned to Idaho from Tennessee in 2001. From 1968-1971 Pat served in the Army (ours) and spent two years in Italy protecting the United States from the Communist hoards in what was then Yugoslavia. Patrick has been a recreational cyclist for nearly 40 years and is one of the founding members of Treasure Valley Cycling Alliance. Despite his strong interest in the “bike” mission of IWBA, he retains an ever-increasing interest making Idaho’s streets safer and more pedestrian-friendly than they are today. 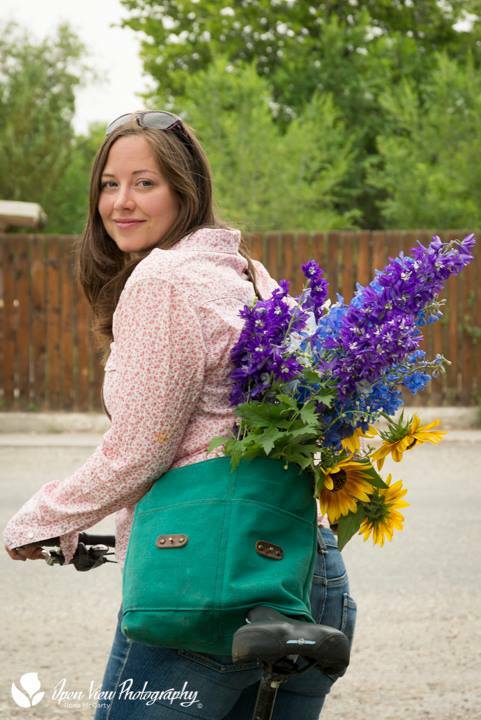 Molly is a founding member and president of the Idaho Walk Bike Alliance. She founded and chaired the City of Sandpoint Pedestrian Advisory Committee and served on Idaho’s Safe Routes to School Committee. Molly is past vice president of America Walks and currently serves as a board member. In addition, Molly was a founding member of Sensible Transportation Options for People in Portland, Oregon, whose mission was to stop a proposed freeway and advocate for light rail, bikes, smart growth and pedestrians. She served as a Citizen Member for the Portland Metro Region Transportation Policy Alternatives Committee, and she was Executive Director of Pioneer Courthouse Square in Portland, Oregon. Molly has an extensive background in sales, market research and management. She has a B.A. from Reed College and an M.B.A. from Pepperdine University. Molly sailed the South Pacific with her husband for four years in the 1990’s, walking many towns and cities from Ecuador to Adelaide between times at sea. “Every time I see an adult on a bicycle, I no longer despair for the future of the human race.” So said H. G. Wells. While Chris may not totally share H.G.’s optimism, he is passionate about cycling – any kind! If it has two (or three) wheels and two pedals it’s all good. His bucket list is made up of roads and trails he’s yet to ride. Chris wants to inspire and enable others to re-discover the freedom and joy of cycling, and maybe in the process, save a little of the planet. Chris was fortunate enough to attend college in one of the premier bicycle-friendly campuses and towns – University of California, Davis. At the time, he didn’t appreciate how far ahead of its time Davis was. The campus was large and closed to cars, so bicycling was a necessity – the campus was laced with multi-use paths and even had roundabouts! It was during those years he got his first decent road bike and became a serious road cyclist. Since then, cycling – all kinds – has been his favorite sport and hobby. Chris realizes how much work needs to be done to improve active transportation; hence his involvement in pedestrian/bike advocacy. In 2007, he was part of a small group who formed a non-profit called Idaho Falls Community Pathways. Today Idaho Falls is making significant progress in addressing infrastructure needs. Though this group certainly can’t take full credit for their city’s awakening, they most certainly had some impact in nudging the city forward. Alexis is a Health Policy Analyst for Central District Health Department serving Ada, Boise, Elmore and Valley counties. Growing up in with one foot in Bellevue, Washington and the other in Kooskia, Idaho, she quickly saw the stark contrast between each community and the health of its population. As a teenager she didn’t know what public health was, but knew what it felt like to not have safe sidewalks in one town and access to great services, well-stocked grocery stores and safe, walkable routes to school in the other. Experiencing this dichotomy first hand led her to develop a passion and commitment to improving her community and state by ensuring that everyone has the opportunity to live, work and play in healthy environments.Alexis is currently pursuing her Master’s Degree in Health Policy at Boise State University. She’s been passionate about health, solving problems and building relationships her whole life. Alexis loves spending her time outside either in her yard, on the water, or in the mountains with her boyfriend, their two dogs, and her horse, Versace. Michael David is the Bicycle Pedestrian Program Coordinator for Mountain Rides Transportation Agency. David enjoys the opportunity to promote the benefits of riding bikes and walking in our community through our Safe Routes to School and Walk/Bike to Work and School events. Michael is 2 years into his second 4-year term on the Ketchum City Council, and finds there is no better way to talk with the constituents and local business people than walking or biking around town. He also takes full advantage of the robust public transportation system in the Wood River Valley that moves people up and down the valley, helping those who are transit-dependent and enabling others to leave the car at home.David has lived in Blaine County for 26 years, after being born and raised in Southern California. He has a BA from UCLA and a JD from Loyola Marymount Law School. 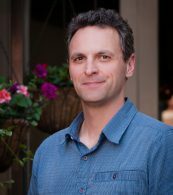 David has served on the boards of the Blaine County Housing Authority, the Ketchum Community Development Corporation, the Ketchum Innovation Center, Mountain Rides and National Alliance on Mental Illness, Wood River Valley Chapter (NAMI-WRV). He is also a member of the Ketchum Traffic Authority. David has three children, Gray, 22, Darby, 20, and Tillie, 17, and a walking buddy, an 11ish-year old multi-breed shelter dog named Sunny. You can find him walking or biking the streets of Ketchum, Hailey and Bellevue daily. 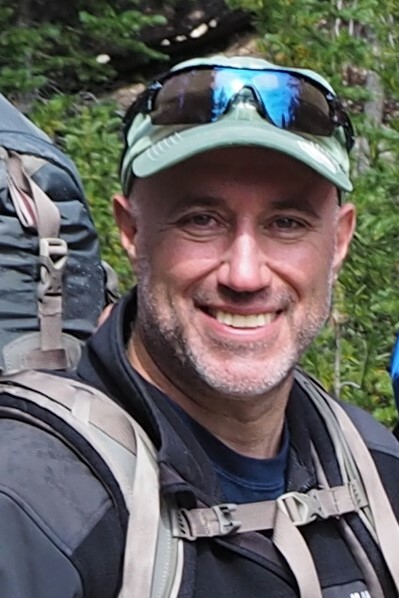 Bruce is an avid mountain biker and trail map builder. In fact, he has ridden and mapped trails from Arizona to Wisconsin and not always rubber-side down. Bruce is also a huge advocate for all types of outdoor recreation and accessibility… in all its forms. Whether working with local governments for the establishment of a new trail head to access public lands to fighting for wheelchair accessibility in parks and open spaces, Bruce wants the people of Idaho to take advantage of the incredible outdoor resource each city has to promote healthy modes of transportation and lifestyles. Bruce has worked for the Department of Environmental Quality for the past 14 years and is currently responsible for air quality, water quality, engineering oversight for drinking and waste water systems, remediation, management of solid and hazardous waste, and emergency response in a 7 county region of eastern Idaho. Prior to this, Bruce worked for 14 years at the Idaho National Laboratory for the Bettis Atomic Power Laboratory (Naval Reactors Facility) where he managed environmental programs and environmental cleanup activities for the Nuclear Navy. Born in Chicago, Illinois, he received B.S. degrees in Biology and Chemistry from Quincy University in Illinois. He relocated to Pocatello, Idaho to attend Idaho State University where he graduated with a M.S. degree in Zoology. Bruce and his wife, Kelley, have 3 grown children and have lived in Pocatello for the last 30+ years. Bruce has also served as the chair of the Long Term Recovery Organization to help those affected by the Charlotte Wildfire in Pocatello. Bruce sits on the Board of Directors for the American Red Cross of Greater Idaho and is on the Advisory Board for the Certified Public Managers Program for the State of Idaho. 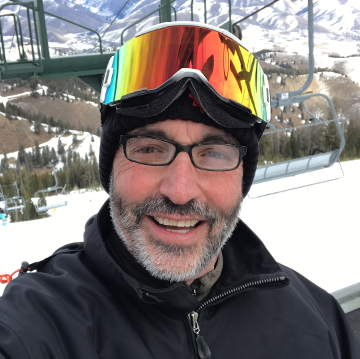 Bruce is active and involved in various community projects including Pocatello’s City Creek Management Area, the Greenway Foundation, United Way, US Forest Service volunteer, and, in his spare time, rides, backpacks, woodworks, photographs, brews, and fixes old clocks. Sláinte! Cynthia has lived in Boise for the last twenty-plus years after leaving the east coast congestion behind. She has loved every single moment in Idaho and now considers this vast state her home. Cynthia is passionate about being outdoors, whether she is travelling to work or recreating in Idaho’s wilderness. Working for Idaho Walk Bike Alliance allows her to share her love to move more and drive less, which she relishes every day. Now that she has landed her dream job, she enjoys connecting with all the amazing advocates throughout the state to make their communities safer, healthier and more liveable. Prior to this position, she worked in media sales in Boise. She liked that job too, but it required daily driving. When she isn’t working, you can find Cynthia in the foothills with her dogs, Maggie and Olive. Cynthia can be reached at cynthia@idahowalkbike.org or 208-345-1105. Bobby Forese is a recent graduate of Colby College in Waterville, ME. He grew up on the East Coast, and decided to move to Boise for the quality of life upgrade. Idaho provides Bobby with all kinds of outdoor activities that he loves such as hiking, fishing, skiing, trail running, and snowshoeing. 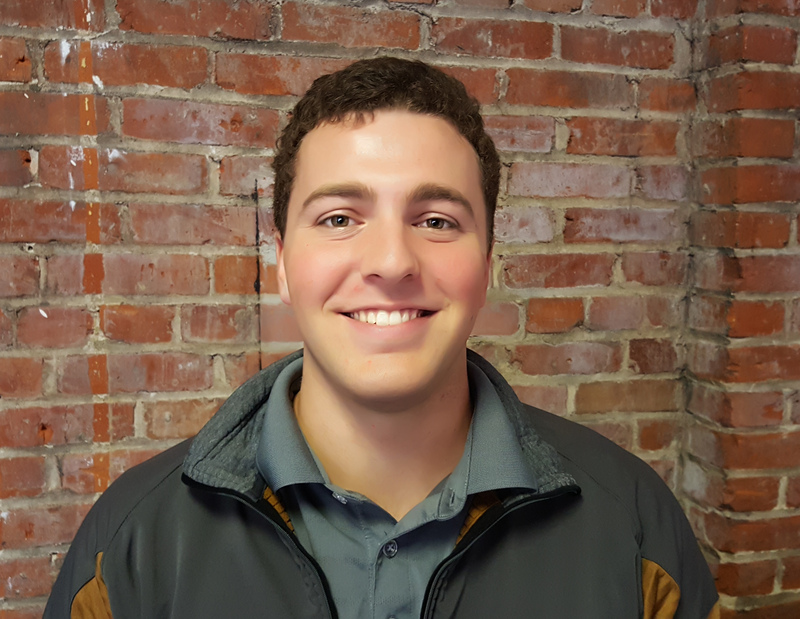 Bobby is excited to be working for the betterment of Idaho’s pedestrians and bicyclists. Bobby has always been active, and believes that an active lifestyle is the most effective way to stay healthy. In college Bobby volunteered with “Playground Pals”, an organization in which student-athletes spend recess at elementary schools to encourage kids to be more active in their everyday lives. • advocate for inclusion of bicycle and pedestrian safety and operation components in school curricula, driver education, and driver licensing exams. Impetus from the Statewide Conference inspired a working group of seven people to form the organization that became incorporated in October of 2009 as an Idaho nonprofit, called Idaho Pedestrian and Bicycle Alliance, (IPBA). The seven founding Directors met monthly, wrote bylaws, set up a membership structure, and began recruiting members. A vision was established, and strategic goals and objectives were set. IWBA gained respect and visibility throughout the state. Additional grant money was procured, allowing the organization to open an office in downtown Boise within walking distance of the Idaho State Capitol building. IWBA hired a full-time Executive Director, and half-time Executive Assistant. In March 2014, the board changed its name to Idaho Walk Bike Alliance. At the same time IWBA hosted Idaho’s first Legislative Bike Walk Luncheon. Seven bi-partisan legislators attended. IWBA also hosted two legislative bicycle rides; open to IWBA members so that they could ask questions of their lawmakers and debate issues in a non-traditional, casual way. We began building a history of successful influence with the Idaho Transportation Department (ITD). When we first learned that the Community Choices for Idaho grant program was unsupported by ITD executives, we launched a Statewide Advocacy Campaign, encouraging Idaho communities to write or call their District board members thanking them for their support of the Community Choices program and encouraging the ITD board to increase staff and resources. Our campaign generated more letters than the ITD Board had ever received over any one issue. As we continue to be a voice for Idaho communities, IWBA has directly caused a substantial oversubscription of applications for Community Choices for Idaho grants. We are now advocating as a stronger voice for pedestrians across the state, and actively promoting a vibrant Safe Routes to Schools program in Idaho. Trends across the country are revealing a preference toward communities that value and plan for increasing numbers of people who choose to walk and bike. These communities, such as Boise, Portland, Salt Lake City and Anchorage are seeing a surge in their local economies. Home values go up, access to a skilled work force increases, the quality of life improves as cities acknowledge the wave of the future. Idaho Walk Bike Alliance is poised to ride this wave and generate a few of our own. The bottom line is we want more people to be able to walk and/or ride their bicycles more often. We believe walkers and bicyclists have the right to safe passage, true connectivity and convenience on our way to work, to school, to shop, to visit friends and family, or simply for the pleasure of movement. The benefits are significant and wide-ranging for all. The future is now.